The future of online credit card processing lies with companies that are diving head first into the market for mobile payments. The more mobile devices are deployed with applications built for sharing payment data, the better the integration of this technology. Consumers need to know it’s safe to use a cell phone to make payments, and more retailers are beginning to accept these alternative payment forms as a result. This was a major step forward in supporting freelancers worldwide, and will no doubt be the first in many to come. With smartphone adoption rates trending upward, almost everyone has the ability to move money from wherever they are. What’s changed is that more retail outlets are beginning to accept mobile payments from customers on the go, which means they are no longer tied to the debit card or cash. These new merchant accounts protect a customer’s identity and payment information. Making everything safer. Mobile devices are usually protected by a password, and are often secured by the person carrying them. So, rates of physical theft are low and there are multiple security measures one can take to protect their device. Mobile payments also allow a lot of tracking on the merchant’s end, which is a good thing for consumers. It’s possible to allow customized coupons that apply specifically to what a consumer actually buys, rather than forcing him or her to buy outside of habit. It may be possible to “remind” customers of deals at the payment processor, where the customer would be most receptive to loyalty offers and coupons. There are exclusive deals you can offer through mobile that encourage customer loyalty as well. Imagine you’re in line at a terminal, when your phone buzzes. Upon opening, you discover that the item you’re about to buy has a coupon for 20% off the store’s asking price. You can scan this coupon from your phone, without remembering where you might have left it, and you’ll be able to claim your offer seamlessly from the terminal. Ultimately, it will come down to experimentation but mobile payments are finally beginning to see increased adoption rates. Companies will be looking for ways to harness this new technology, so that merchants can deliver tailored solutions to customers looking for a great deal. Consumers will love taking advantage of the new methods to save money and earn loyalty rewards bonuses. With a low-cost guarantee, and no setup or cancellation fees, Charge.com is one of the most affordable and secure payment processing services available online. Most will give you their opinions on how you should handle your money matters. But not everything you hear will be helpful advice. Here are a few money tips that you should ignore. Don’t ever go into debt – Sometimes taking a loan is the only way to progress in the areas of buying a new house, a car or to go on that holiday of a lifetime. In this case, it is important to take a loan that does not leave you overextended and unable to pay back your debts. Pay off your debt before savings – What you should do is weigh your investments in comparison to the loan repayment period. Remember that most establishments earn from interest and therefore paying off your loan will cost you a penalty. College is a must if you want to make good money – Some employers will require a college degree, but some well-paying jobs are offered to those with a technical training. The point to note is, don’t go to college if you don’t feel motivated to do the course. Only invest in stocks that provide dividends – Most people will want their annual dividends to be paid on their stocks to consider them profitable. However, dividends are deducted from the earning of the company and therefore this could reduce the amount of each share. Buy bonds to generate income – Bonds are a risk reducer and it is good to invest in bonds, as this will ensure your money is safe. However, remember that you will not make much money from them. Financial ratios are a great way to understand how your business is currently operating and how its performance compares to previous years. Here are 4 key ratios and what they say about your business. Working capital ratio – A company’s liquidity is important to understand the health of a company. The working capital ratio is calculated by dividing the current assets by its current liabilities. For example, a company that has $8m in current assets with current liabilities of $4m will have a ratio of 2:1. This means that this firm will be better able to pay off its debts. 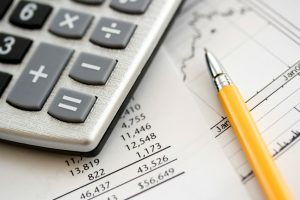 Quick Ratio (Acid Test) – This ratio is calculated by deducting inventories from current assets and then dividing that figure by This calculation is done to show how well cash covers current liabilities. Inventories are deducted from the calculation, as they can take the time to sell. For example, if a company has $8 million in current assets minus $2m in inventories over $4m in current liabilities, that’s a 1.5:1 ratio. Companies should aim for a 1:1 ratio. Earnings per Share – Earnings per share calculates the income or loss that is earned on each share. This calculation is measured by dividing the company’s net income with the average number of common shares. Debt-Equity Ratio – Excess borrowing can weaken a firm. This calculation involves adding outstanding long and short-term debt and dividing it by the book value of shareholders’ equity. This value should be analyzed as per industry standards. Asian car driver woman smiling showing new car keys and car. Mixed-race Asian and Caucasian girl. Paying the full payment for a new or used car is often not possible for most. Luckily there are financial institutions that can assist you to get the vehicle you’ve always dreamed of. When obtaining your auto financing, it is best to not approach your car dealer and instead obtain auto financing from a financial institution. You should look at allocating 20% of your disposable monthly income for your car payment. This will include all other expenses like insurance and fuel costs as well. It is best to avoid long-term car loans, as you will pay a lot in interest, instead, choose one for 3-5 years. Payment in cash – When you visit a car dealer to look at your options, it is a good idea to tell the dealer that you will be paying in cash and this will signal to your dealer that you are not interested in dealer or manufacturer financing. Informing the dealer early on about your payment plan will also prevent the dealer from padding the deal for extra profit. This method will also give you the ability to focus on the features and the price of the car and not worry about the monthly payment figure. The purchase price – Avoid opting for a car lease, which is similar to a car rental. At the end of the lease, you will pay more to buy the car, than a similar used car. Look for pre-own factory certified cars. This is a smart choice as it means that the car has been inspected, fixed and is road worthy. The costs for small business credit card processing can add up pretty quickly if you’re not careful, but there are some things you can do to try and lower those costs. Most payment processing companies will require you to have some kind of contract filled out in order to process your new account. Usually, these contracts hold you to a period of about two years and contain language that defines your fee structure. Pay close attention to any discounts, to be sure you can meet the requirements to utilize them, and make sure your account is setup properly to take advantage of the fee structure. If you have the option to utilize phone support during setup, do so. Payment gateway services process transactions at a set rate, but fraudulent transactions can cost money when they are reversed. Get too many of these transactions and it may even trigger removal of your merchant account. If you become a high risk, reducing your fraud risk will eventually help to correct that status and get lower fees on transactions as well. 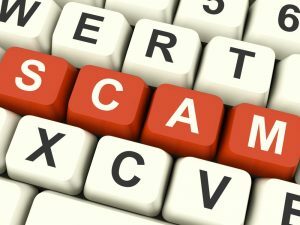 The best way to stop fraud? 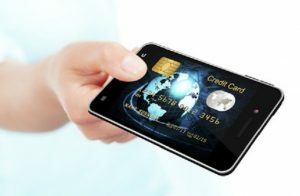 Swipe as many of your customer’s cards as possible! If your first option is to go to a bank, then definitely shop around. Banks usually contract this processing to another company, so you’re paying extra fees to cover those costs and using a branded terminal. Why pay those extra fees if you can just go to the source yourself? Shopping around will ensure you find a contract with a good fee structure, and discounts you can actually use. For more than 20 years, Charge.com Payment Solutions, Inc. has been the easiest and most affordable solution for accepting credit cards online. This entry was posted in Business Services, Finance. Businesses should learn to protect themselves and their clients from financial fraud. Here are six tips and tricks that can help you and your clients secure your financial future. Reconcile your accounts – You should make the time every month to personally review your accounts, although an accountant my handle your financials. You should do this by calculating a list of financial formulas each month and review the information against the previous months/years. This way if there are any large changes, you can look into the information in more detail. Look at your credit report – Use online services to review your credit report to identify any fraudulent behavior. Set up alerts – Alerts through mobile banking will give you up to date information on how your money is being spent. Apps such as Dasheroo and PowerWallet are good, to give you accurate information. These apps are also accessible through your computer. Inform your clients of mismanagement – If you hear of any mismanagement in the industry, inform your clients by email or mail. Back up your notices – If you have sent an email or mail notice, it is good practice to call your clients over the phone and recheck if they are aware of the notification. Sample notifications – Save samples of notifications that can be quickly amended and sent to clients. This will save you time and avoid errors that can be made when writing fresh content. 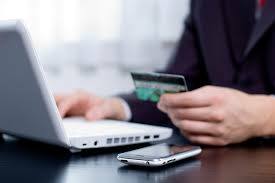 Online banks provide you with the ease of doing your banking with less visits to the bank. This gives you the flexibility to complete your transactions in a very short time, in the comfort of your own home. Here are the 3 best online banks that have been selected on the basis of their fees, interest rates, yields and customer service. Ally Bank – Ally bank is one of the best online banks, mainly because they have no maintenance fees on checking, high savings and CD yields. They also offer 24/7 telephone customer service support with live online chat and a mobile app. You can also use any Allpoint ATM for free. If you use another ATM the bank will reimburse you up to $10 for any ATM surcharges. Bank5 Connect – Bank5 Connect is known for its competitive rates, no monthly checking fees and great customer service features. Although the bank does not offer 24/7 customer service, they do provide live online chat features, a mobile app and remove check deposit. You can also use any ATM and bank surcharges up to $15 will be reimbursed. EverBank – With attractive rates on its checking, savings and CD accounts, this is a good choice for people who have funds of $1,500 or more. With 24/7 phone customer support, no monthly maintenance fees and no ATM fees, this is good bank to consider. The bank will also reimburse all ATM fees, if you have over $5,000 or more. This is definitely true in a variety of products, specially on electronics. Here are the 5 best deals at best buy. Televisions – Best buy is mainly an electronic retailer and therefore offers the best deals on televisions. Most deals will give you 25% off plus free shipping. For a further discount, look at buying your TV during thanksgiving or black friday. 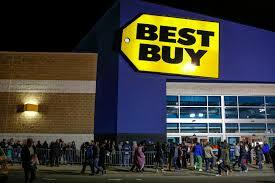 Apart from this, best buy offers a price match guarantee on local and online competitors. Major Appliances – If your looking to purchase your next major appliance such as refrigerators, dishwashers and washing machines, best buy will give you the lowest price. If you are unable to pay the full value up front, the store offers 18 months no interest financing for purchases over $599. Apple Products – Best buy is a certified retailer for Apple products and the store offers greater discounts than the Apple stores. Video Games – The store has a gamers club for the best pre order deals on new games. Most discounts range from $10- $20. Four-Hour Flash Sale – At least once a month, best buy slash their prices on a four hour flash sale. This sale is only available for online purchases. Split bulk items with a friend – If you are living alone and have little space, it can be hard purchasing and storing in bulk. But you still can enjoy the savings at Costco, by buying in bulk with a friend and splitting the packages. 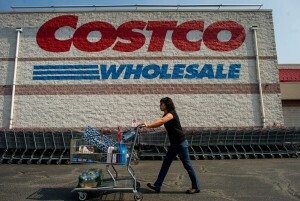 Look for Costco coupons – Check your monthly coupon book as well as your Costco mobile app for items discounted. Clipping coupons are not necessary, since the cashiers keep copies of the coupons at their registers. Shop summer closeouts before the season is over – Stock up on summer essentials at the end of the season. For example, items like barbecues, beach chairs and camping equipment are marked down up to 50%. Non-members can access Costco discounts – If you do not like to spend the annual Costco membership, you still can have access to the pharmacy, immunization services, eye and hearing exams and eat at the Costco food court (if it’s located outside of the store). Buy discounted gift cards and movie tickets.- There are discounts in restaurants, movie tickets and local attractions. For example, you can get a coffee bean gift card worth $100 for $79.99. Take your lunch break at the Costco food court.- If you have forgotten to bring your lunch a good affordable option can be found at the Costco’s food court. 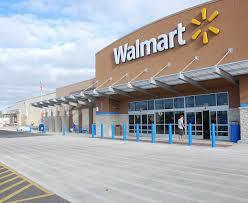 Walmart has been providing over 260 million customers with low prices daily. If you are looking to make further savings on your Walmart purchases, here are 5 strategies that will help you get the best prices. Walmart’s price matching policy – Walmart will match any price from stores in your area. To make use of this policy, the items should be identical and be in stock at the other retailer. This method is a great way to save on perishables such as fruit, meat or other items such as paper. The store will also match prices from Amazon.com, BestBuy.com, Target.com and TigerDirect.com for home goods and other items. Online prices in store – As a policy the Walmart.com prices will be matched for in-store purchases. To get your priced reduced, pull the better price on your phone and show it to the cashier when checking out. Saving catcher app – If your too busy to check the prices of competitors, you can use the Saving Catcher app. You just need to scan the receipt with your app and compare competitor advertised rates. If the item you purchased is cheaper elsewhere, you can be credited in Savings Catcher Reward Dollars. These can be redeemed as Walmart gift cards. Free shipping from Walmart – To get free shipping at Walmart, spend upto or more than $50 which will incur a charge of only $4.97. To get around this fee you should have your online purchase, shipped to your local Walmart store.